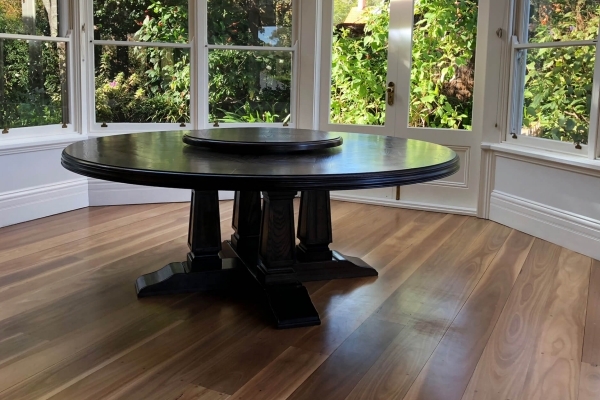 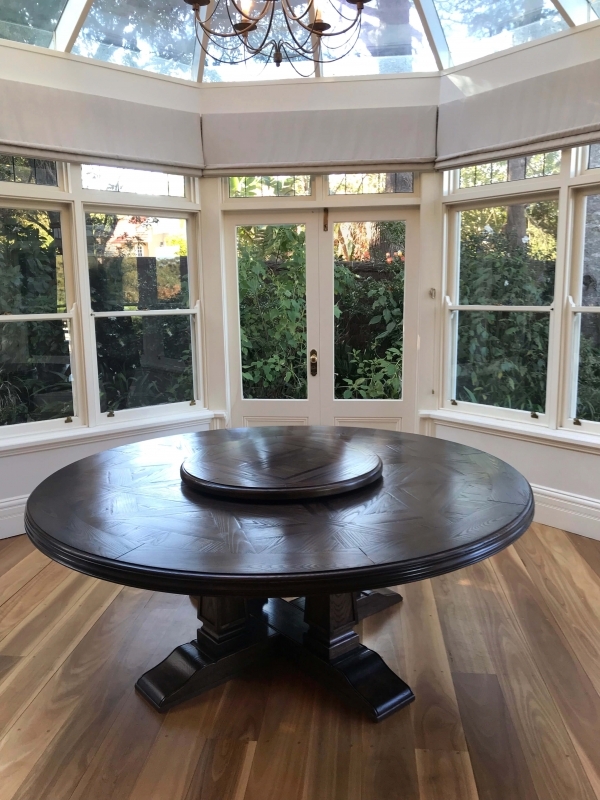 Bespoke circular table with unique parquetry inlay featuring Light/Dark boards for contrast. 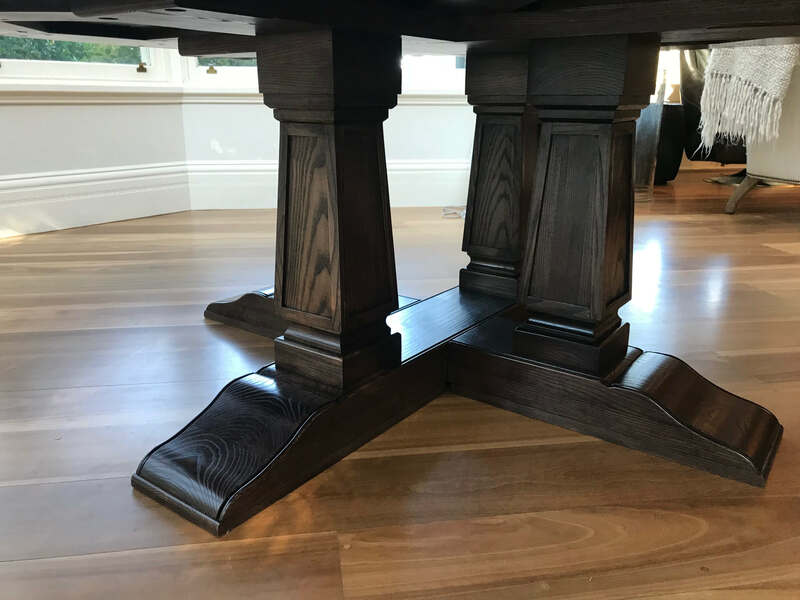 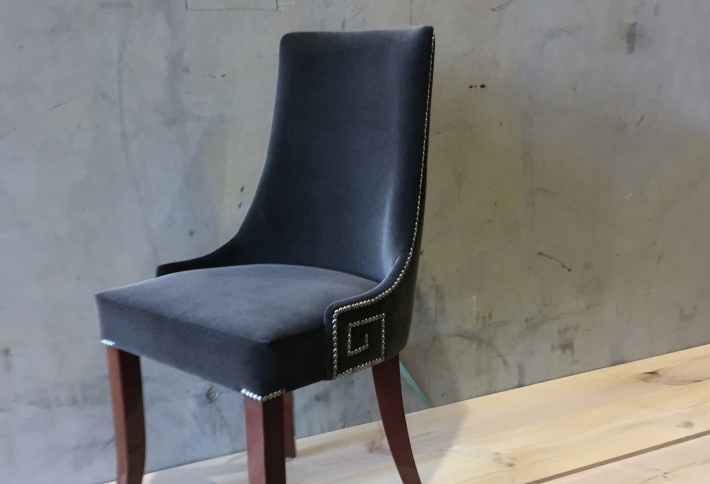 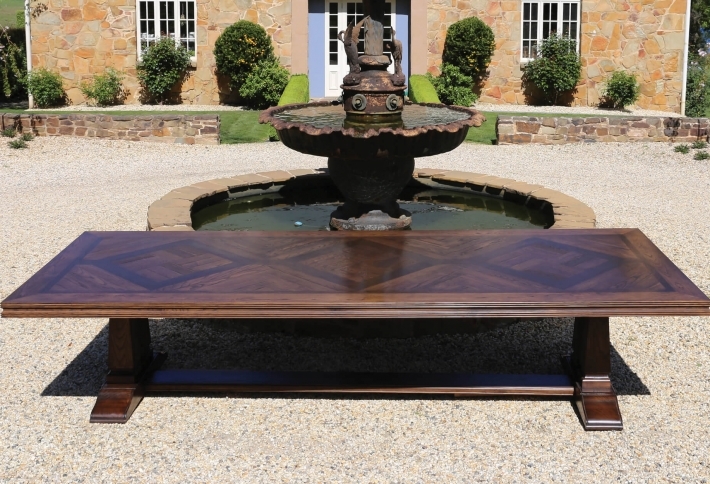 Featuring four leg pedestal base custom shaped legs with panel style profile. 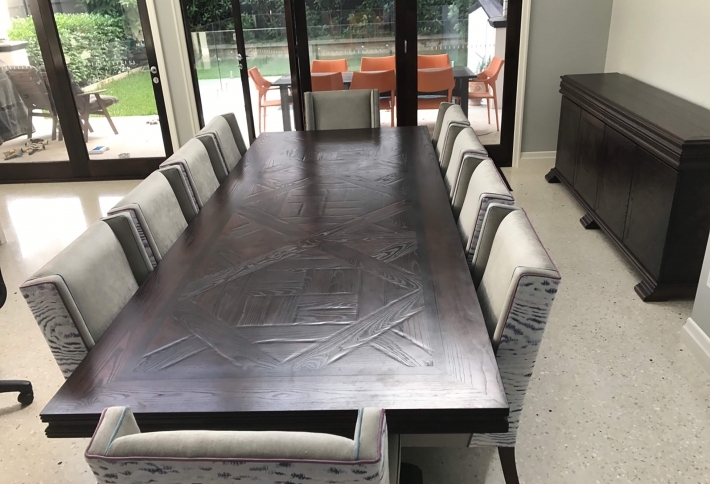 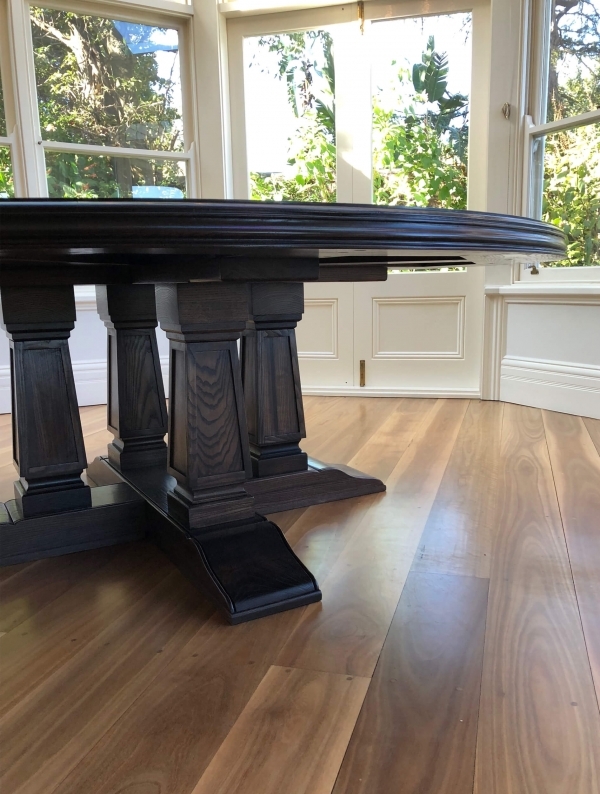 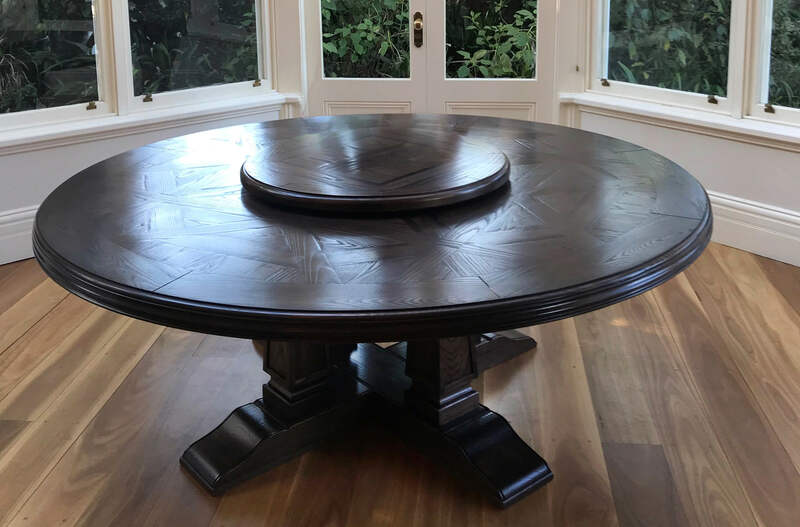 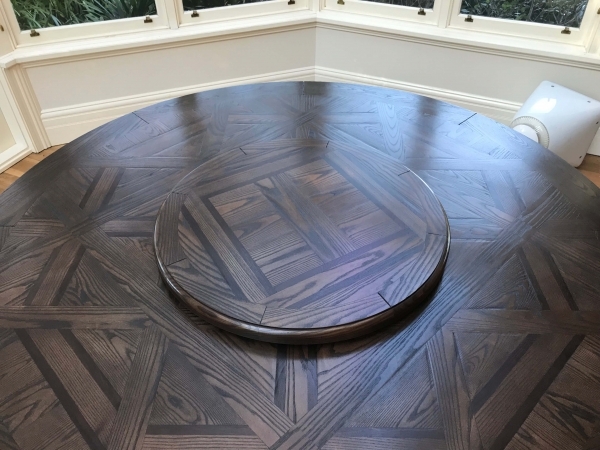 Rotating lazy Susan as shown custom designed and made in a solid Oak parquetry in pattern to match the dining table.